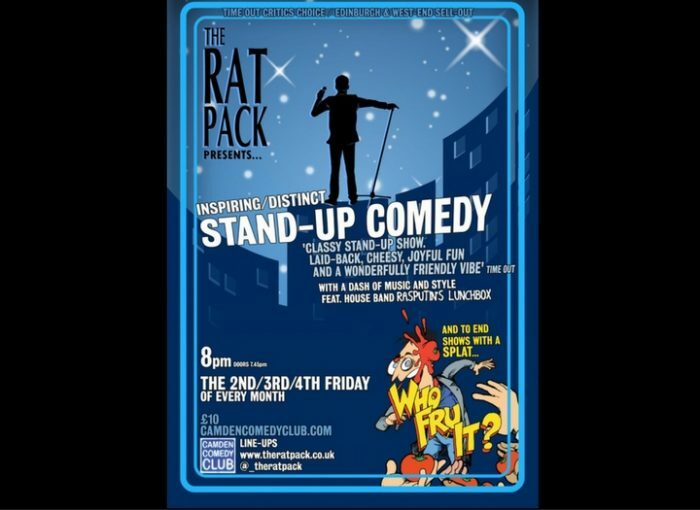 A new series of stand-up shows from the people behind critically acclaimed The Rat Pack stand-up comedy. We present the best comedians and live music in distinct and inspiring shows at one of London’s best comedy venues, the Camden Comedy Club. Nathan Cassidy, Rick Kiesewetter, Brodi Snook, Dave Green, LJ da Funk, house band Rasputin’s Lunchbox and MC Jonathan Hearn.